HOW CAN WE FIND SOMETHING NATURAL? The Wanderlust Bus is made from a lot of wood. A whole lot of wood. I like wood; easy to work with, somewhat forgiving, and won’t burn me when I’m trying to glue it together (unlike metal.) That being the case, we need to find a finishing solution that will protect the wood and still be safe for us and the littles and this is how we found Auro Hard Oil. There are a lot of options out there to finish wood; some better than others; some more toxic than others; and some that plain just don’t work. Before we go into what we DID choose, let’s talk about what we DIDN’T choose and why. First, let’s talk about the three types of wood finish categories; evaporative, reactive and coalescing. EVAPORATIVE FINISHES use some type of solvent, usually a petroleum distillate, that evaporates leaving a waxy residue as a finish. COALESCING FINISHES are typically water-based and allow the finish to be easily dissolved in the solution. The two most popular wood finishes are polyurethane and varnish. Both provide a durable finish but come with some major problems. At their core, polyurethanes are petrochemical resins. These resins contain isocyanates. Uncured polyurethane can aggravate a variety of different breathing problems and those who are exposed to the fumes may develop vision difficulties, throat irritation, nausea, uncontrolled coughing, vomiting, and headaches. 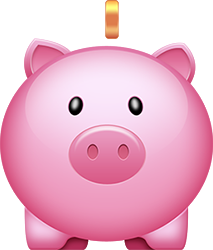 Isocyanates contain compounds that are classified by the EPA as potential human carcinogens. Varnish is no different. The resins and solvents used in varnish are toxic if ingested. 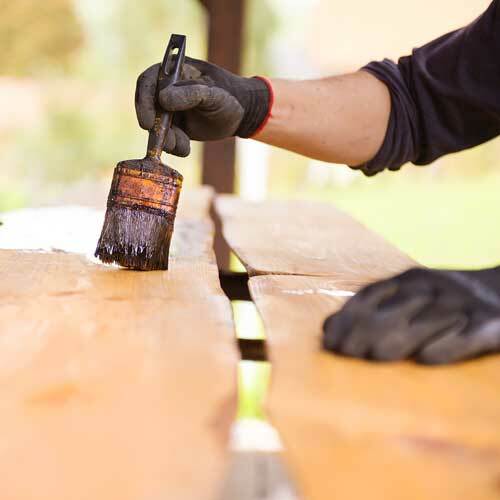 Many varnish products contain benzene, which is a known carcinogen that is highly flammable. The solvents in varnish are extremely pungent, and the fumes can cause drowsiness, headaches, skin irritation and dizziness. At high concentrations, a person may become unconscious, suffer respiratory distress and may even develop pulmonary edema and those with respiratory conditions such as asthma may want to avoid contact with varnish completely. Once we uncover the fact that a vast majority of wood finishes have some level of toxicity that far outweighs any benefits associated, we have to find a natural alternative. To find out more why check out this page. There are a couple of tried and true methods that people have been using for hundreds of years. Yes, you read that right, hundreds… Nonetheless, those options work in a lot of situations, and you’ll see us talk about and use a few of them in future videos, but this situation called for something specific. We were looking for something that would be hard wearing but still transparent and easy to fix should damage occur. This is where AURO hard oil comes in. AURO is one of the very few companies who offer products that deserve the characterization ‘natural’. AURO products are consistently produced from raw materials coming from organic or mineral sources. A truly natural oil can contain only raw materials from sustainable or mineral sources, it should not contain petrochemistry, and all raw materials have to be declared. AURO focuses on plant sources as suppliers of steadily renewable raw materials. AURO focuses on plant sources as suppliers of steadily renewable raw materials. A truly natural product helps to preserve an intact, sound environment and benefits consumers by the use of reliably natural raw materials. At the end of its life cycle, a natural paint can be composted and does not have to be disposed of as hazardous waste, as is mostly the case with conventional, petrochemical paints. 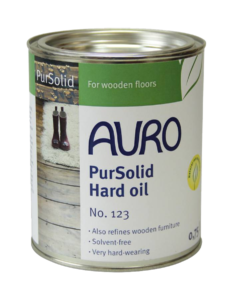 So there it is, AURO hard oil is the oil finish of choice on the Wanderlust Bus. Though, let me say this, there are a number of options available and no matter which option you choose, even if it isn’t AURO hard oil, find something that is safe for your family. Check out the video below to see how we used it. Then, after you get done watching, head on over to AURO’s website and get some AURO hard oil No. 123 for your project.